John has been a volunteer at Cotswold Archaeology since 2015, just one of a number of archaeological activities he has embarked on since retirement. In 2011 John completed a part-time degree in archaeology at Bristol University, and took part in a number of week-long training digs. He also regularly volunteers with the Corinium Museum in Cirencester and the Bath and Camerton Archaeological Society, completing geophysical surveys including a recently revealed extensive Iron Age and Roman settlement in fields near Cirencester. John also continues to dig for at least one week every year on volunteer excavations. 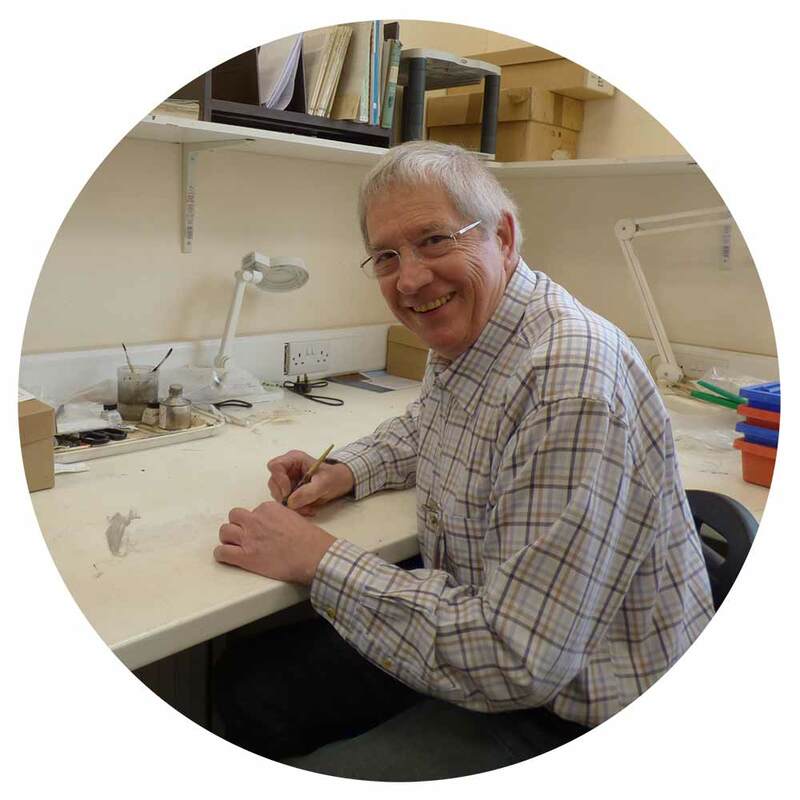 John says “Volunteering at Cotswold Archaeology provides the opportunity to handle a wide range of artefacts as well as gaining experience and knowledge of post-excavation processing within a professional environment”. While not volunteering, John enjoys recording medieval graffiti in churches with the Wiltshire Medieval Recording Group and continuing to research his family history.